The Bridge of Lions was built in the mid-1920s as a way for automobiles to travel from St. Augustine on the mainland to Anastasia Island, where significant development was just getting underway. Developer D.P. Davis planned to use the same dredging techniques he'd used for his Davis Islands project in Tampa to drain the marshy swamp at the north end of Anastasia Island and develop a residential area called Davis Shores. Soon after the project was begun, however, the real estate boom burst, and construction was stopped. 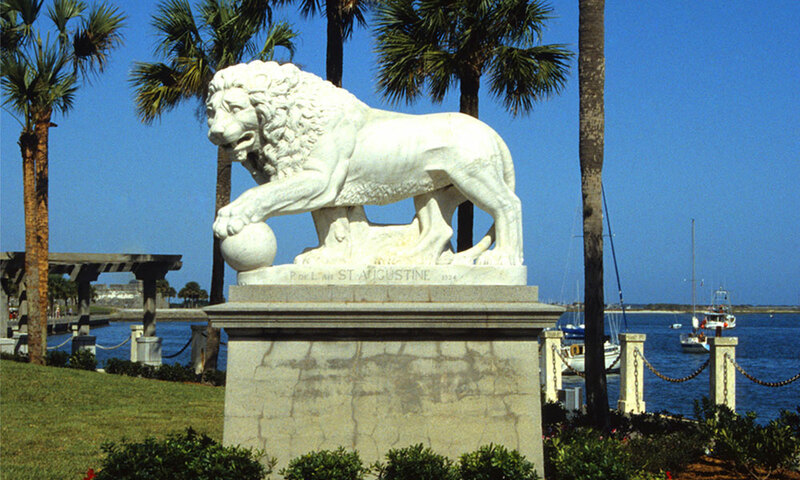 Though the original development was considered a failure, it did provide the impetus behind the creation of St. Augustine's beautiful Bridge of Lions, which was completed in 1927 and has been an icon of historic St. Augustine ever since. 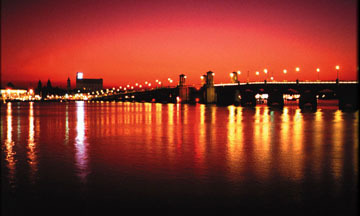 The bridge is a double-leaf bascule bridge, also known simply as a drawbridge, which allows commercial and recreational boats to pass through a center channel when the moveable span is in the up position. 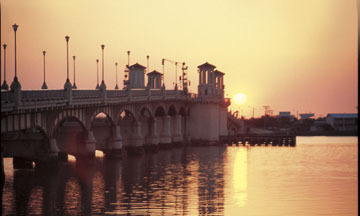 In 1982, the Bridge of Lions was added to the National Register of Historic Places. In 2010, it was renovated by the city of St. Augustine and still serves as a major thoroughfare from downtown St. Augustine to Anastasia Island. 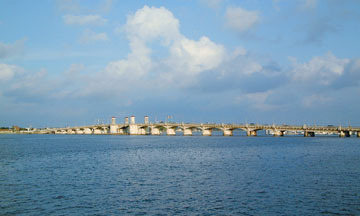 The Davis Shores project was revived after World War II, and it is now regarded as one of St. Augustine's finest residential areas. Be the first to Review Bridge of Lions!